Hi guys! Soo I totally thought there was a 31st September…apparently not! Doh! But we can pretend, so this is kind of a haul/products I’ve been dabbling in! 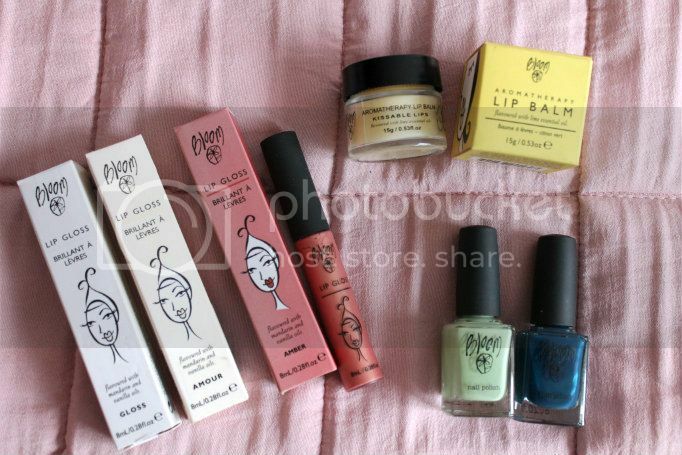 Firstly the collection of Bloom products I purchased from Superdrug at an absolute BARGAIN. I went in for a general mooch and new foundation and decided to browse the clearance section. There was loads of products there all for 99p! Lots of Bloom products included, I think they might be stopping stocking them, I don’t really know much about it but I think it’s an Australian brand (correct me if I’m wrong) and the products retailed at £10-15. I can’t resist a bargain so I bought 3 lip-glosses which are fab, they do have a cakey smell which is a bit sickly but I don’t mind it. Especially for 99p! I also purchased a lip balm which is really moisturising and smells divine and two nail varnishes. I think the navy will look really nice this Autumn! I also picked up a blush from the Look beauty range as it ‘s currently half price (£4) in Superdrug! 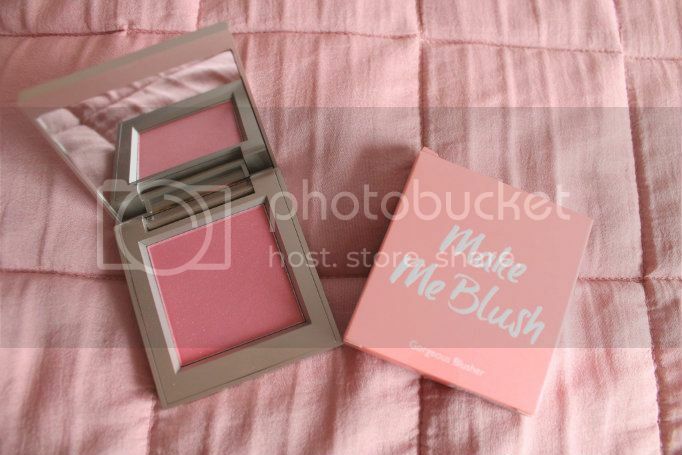 I really like the packaging and the blush itself, the colour I picked up doesn’t really suit my skin tone though. It’s a bit too dark but I’ll be picking up a different shade when I’m next in Superdrug! I have to say this did last really well unlike some blushers that seem to just disappear off my face in an hour! 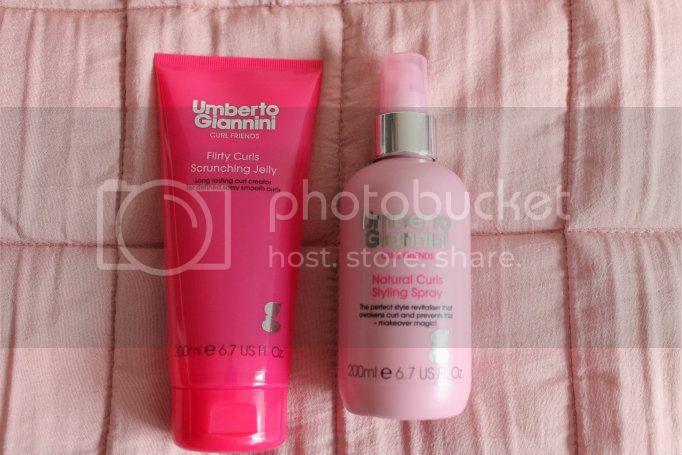 Lastly, I’ve been using these two products from Umberto Giannini, if I’m feeling lazy I tend to leave my hair to it’s own devices which usually means slightly wavy/messy. I wanted to use something to just lessen the frizz and give my hair a bit of oomph. I actually love these products they’re great, the scrunching gel gives my hair a beach waves look and I can just leave it dry naturally. It also doesn’t leave my hair feeling crispy and gross like some beach sprays I’ve used in the past. I then spray a little bit of the natural curls styling spray to seal the waves when its a dried a little. I’m definitely going to be buying these two babies again! I really want to get into a good skincare regime, so if you have any holy grails or products you regularly use I’d love to hear!